Analyst of the Security and Defence Programme. 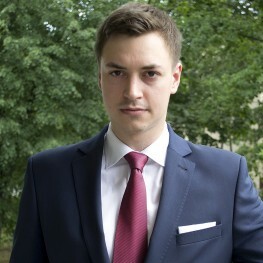 A graduate of Economics and International Economics at the Warsaw School of Economics. Co-author and editor of the CPF's reports. Research the Security and Defence Programme, and has been associated with the Foundation for 5 years. A graduate of Economics as well as International Economics at the Warsaw School of Economics. His research interests include the defence industry, military technologies, and the Region of Southeast Asia. He speaks English and has limited working proficiency in French and Indonesian. Author of numerous articles concerning modernization of the Polish Armed Forces as well as co-author and editor of the reports published by CPF.